Academia is a world on its own with many hidden rules that can be confusing for early career researchers (ECR). Moreover, research is highly competitive. A young scientist pursuing an academic career faces a future of writing applications for fellowships and grants, whilst establishing a strong research track record. These aspects can bring stress, and there is often no job security. How can one balance this with family and social life? Becoming a successful researcher requires some strategic planning. Twelve senior scientists – selected to get an appropriate gender and geographical representation – volunteered to coach ECR in a Career Development session at the 2013 International Epidemiology in Occupational Health (EPICOH) conference in Utrecht. Each scientist provided three tips for a successful career in academia, all of which are summarized in table 1. This overview is not meant to be exhaustive and may not necessarily be the opinion of all the senior researchers. Nevertheless, it may offer ECR guidance on building their research career. Understandably, the participating senior scientists provided tips focused on how to build a career in the current system. But is the system pragmatic? Is it compatible with modern life? Universities and researchers of all career stages have a crucial role to play in these matters. As an ECR myself, I would like to reflect on a few of these the issues a bit more. The tips in table 1 are very helpful when aspiring to succeed in the academic world, but there are many roads that lead to Rome. The challenge lies in selecting the tips that work for you. Besides, to what extend can we actually steer our careers? Sometimes it is just about being in the right place at the right time. You do have some control, however. For example, if you are known for your expertise or hard work and are pleasant to work with, these attributes will definitely increase your opportunities. With regards to “expertise”, one option is to focus on a particular element on which you aim to become a world-expert. For others it may be more beneficial to develop a wider set of skills. Having greater flexibility may enhance your ability to work in different areas. The difficult part as an ECR may be to find your own niche, which differentiates you from your supervisors and close colleagues. Moving overseas for a postdoc is an often recommended step in an academic career. It widens your view but may not suit everyone. When staying in your own country, it is still worthwhile to work in different places. Even short stays at other institutions help. Working in different settings will absolutely benefit personal development and helps in becoming an independent researcher. It seems good to know where one wants to be in “x number of years”. Having a clear plan can help the decision-making process. However, interests may change, other opportunities may arise, or things simply do not work out as foreseen. As mentioned before, academia is competitive, which means that researchers must be able to deal with rejection. We can all learn from critical comments but should avoid taking them too personally. In any case, it is important to remain open and flexible. Particularly in academia, where short-term contracts are commonplace, long-term planning can be problematic. For example, how does one set up a new longitudinal study without the security of having a paid position for the coming years? The effect of short-term contracts on the quality of research content and staff should therefore be a consideration for universities’ policy-makers. Finally there is the topic of work–life balance. The age of the typical ECR is around that of many people when they start a family. Obviously, one cannot be discriminated against for being pregnant or having a caretaking role outside of work. However, it will be much harder to work the same amount of hours as other researchers and business travel will be less convenient. Track records will inevitably be affected. So is it possible to become a prominent researcher while raising a family? At the end of the day, it all comes down to making choices, but it is also a task for universities and grant schemes to consider the social and family life of researchers. Even though regulations exist on how to assess a track record considering pregnancies and other career disruptions, positive role models for young female scientists are unfortunately still scarce. A study among UK PhD students in chemistry indicated that the lack of such role models could be discouraging for women who want to start a family while building their academic career (2). Personally, I think finding a job you love is a must for any career. Since writing is such a critical part of our work – both for publications and getting funded – passion for writing is also essential in order to be successful in a research career. Hopefully the tips from the senior scientists as presented in table 1 will help ECR consider and build their academic careers.  It is important to encourage and support younger people entering the field of occupational health to ensure its future. The issues discussed here may also inspire more established researchers to rethink their position and role in the academic world. It seems good to know where one wants to be in “x number of years”. Having a clear plan can help the decision-making process. However, interests may change, other opportunities may arise, or things simply do not work out as foreseen. As mentioned before, academia is competitive, which means that researchers must be able to deal with rejection. We can all learn from critical comments but should avoid taking them too personally. In any case, it is important to remain open and flexible. Particularly in academia, where short-term contracts are commonplace, long-term planning can be problematic. For example, how does one researchers and business travel will be less convenient. Track records will inevitably be affected. So is it possible to become a prominent researcher while raising a family? At the end of the day, it all comes down to making choices, but it is also a task for universities and grant schemes to consider the social and family life of researchers. Even though regulations exist on how to assess a track record considering pregnancies and other career disruptions, positive role models for young female scientists are unfortunately still scarce. A study among UK PhD students in chemistry indicated that the lack of such role models could be discouraging for women who want to start a family while building their academic career (2). I would like to thank Roel Vermeulen for being a mentor to me and his helpful comments on the manuscript. I am also thankful to the coaches who attended the Career Development session at EPICOH 2013: Igor Burstyn, David Coggon, Lin Fritschi, Lode Godderis, Bengt Järvholm, Qing Lan, Dana Loomis, Saloshni Naidoo, Malcolm Sim, Isabelle Stücker, Katherine Venables, and Ignatius Yu. Lee, A, Dennis, C, & Campbell, P. (2007). Nature’s guide for mentors. Nature, 447, 791-7, http://dx.doi.org/10.1038/447791a . Royal Society of Chemistry and the UK Resource Centre for Women in Science, Engineering and Technology (SET). The Chemistry PhD: the impact on women’s retention. (2008). London, Royal Society of Chemistry and the UK Resource Centre for Women in SET, http://www.rsc.org/images/womensretention_tcm18-139215.pdf .